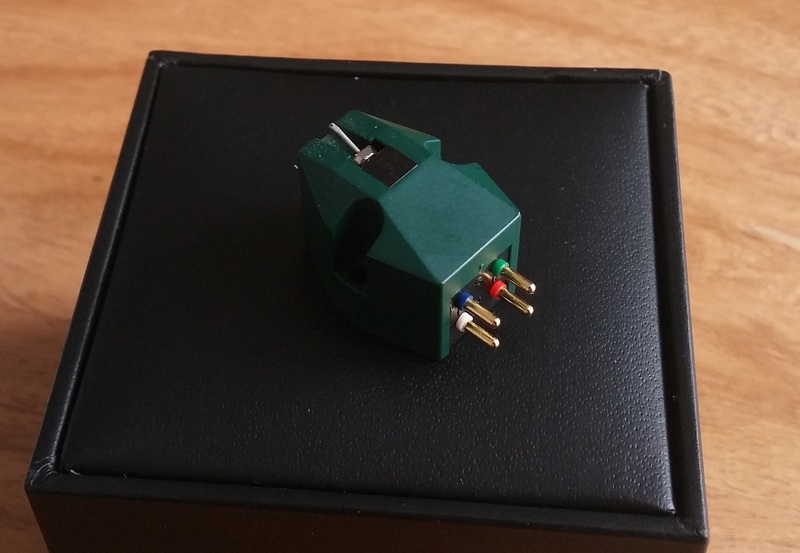 Many have long regarded Denon’s DL103 as the benchmark in “budget moving coil” cartridges. In production more or less constantly since the early 1960’s, it has occupied a spot in thousands of analog enthusiasts’ hearts (and headshells). For many, it was as close to a perfect transducer as we could ask for under $1000. At $200-250, it was a fantastic overachiever, let down only by a slight reticence, or politeness – in fact the 103’s sound was so balanced that some concluded it was like a Honda motorcycle: so composed and dependable, it might just be a tad on the dull side. It’s often been described as smooth; rarely is it called exciting. Competitors haven’t had much success dethroning the venerable DL, though. Shure tried, but always stuck with MM designs. Sumiko tried, with the Blue Point. Dynavector’s 10×4 (later 10×5) was a worthy attempt. Ortofon later took the low road with its’ 2M series of MM’s – trying to beat Denon on price. Even Denon’s own DL110 has from time to time been pumped as the bargain champ – probably when supplies of DL103’s were low. None could ultimately match the 103’s combination of price point, its deft touch with music and rock solid reliability. In fact, cottage industries were born to take the 103 and improve on it – from retipping to denuding to aftermarket aluminum and wood bodies – and why not? While other $200 cartridges reached their end of life matter-of-factly, every DL103 was deemed worthy of rescue and repurposing in an audiophile context. But enough preamble. We’re here to discuss the Hana cartridge. 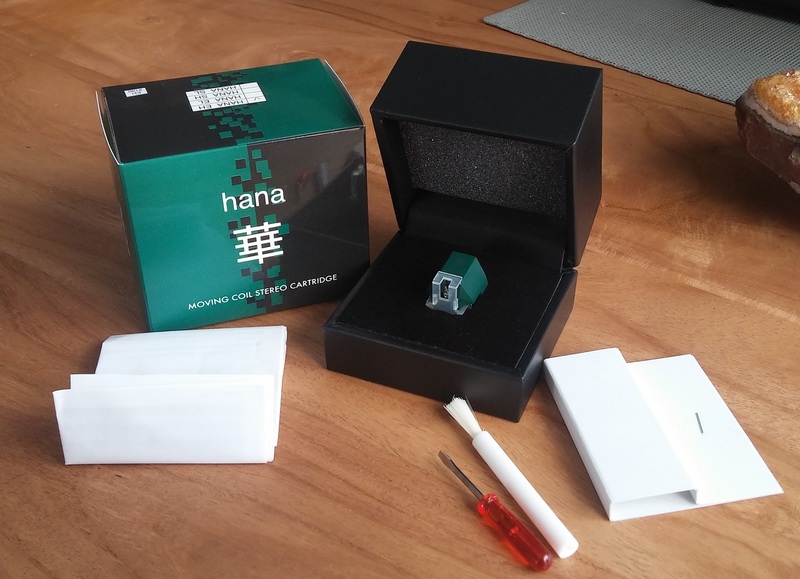 And I’ll come out and say this right now, my feeling is that the Hana is the new king of sub-$1k moving-coils. 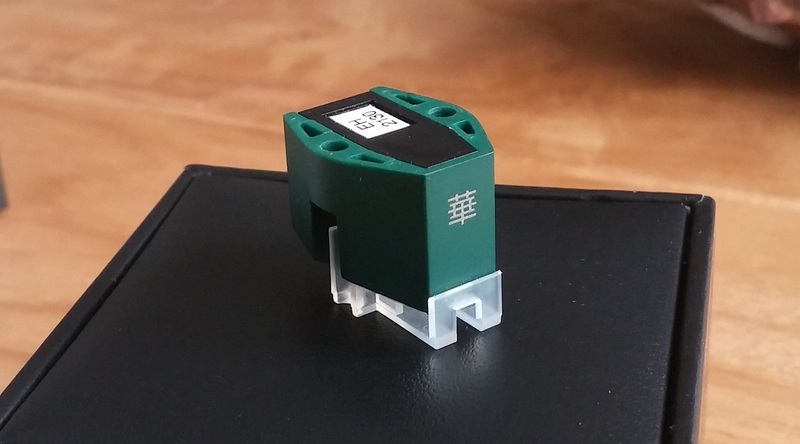 Excel Sound Corporation (Japan) is a renowned OEM of some very fine, high-end phono cartridges. The Hana is a collaboration between Excel and Mr. Hiroshi Ishihara of Sibatech, who market some of Japan’s best audio gear to export markets. Under its unassuming ‘moss green’ resin body lives a motor assembly designed around Alnico magnets. Yes, Alnico – the real deal, the holy grail of audio transducers. Other details of the background and development have been difficult to obtain. The Japanese are notoriously tight lipped, as we know. One thing to note is that the cartridge is quite light, at 5 grams. If your counterweight is on the heavy side, you may need additional ballast at the headshell end (or preferably, a smaller counterweight). For me this posed no issue on any of the arms I’ve used. On the plus side, having your counterweight up closer to the arm’s pivot point is a good thing in terms of rigidity. I’ve lived with the EH for about 10 months now, I was in love with it from day one, and I’m still in love with it. I’ve used it with three decks: the Teres (Jelco SA750 arm), the obscure Perpetual TT-2 (RB303 arm), and now the Pro-ject RPM3, with its mid-level 10.5″ carbon fiber arm, which I quite like. (yeah, I’ve been downsizing) Across platforms, the Hana’s character has been completely consistent: it’s one of those “equalizers”. It’s a player that opens up the midrange soul of your music. I wish I had better words to convey what that means to me. It’s literally, everything. It’s like the first time you hear a good 300B, after a lifetime diet of transistors. But that doesn’t even do it justice. Why? Audiophile “experiences” tend to be analytical. Even ‘audio revelations’ are referential – you think about what came before, what’s being wiped away while your hard drive is being rewritten. Well, of course we’re all wired to do that. But there’s really nothing analytical about the sound of the Hana cartridge. What it does is simply connect you to the music on your vinyl recordings. Really. I’d like to spill words in the standard audio review way, but the Hana doesn’t lend itself to the usual descriptors. It feels false and unjust to draw comparisons with the typical analogies and name-dropping. Kind of like discovering an artist you love, and then reading some critic’s rant on how they’re like the love child of Tom Waits and John Lennon, or some such drivel (usually intended to make the reviewer sound smart). How does it make you feel? Are you smiling? Dancing? These are more like the parameters that seem to revolve around the Hana EH, when I think about valid ways to discuss it. I know, you need some examples. Well, I’ve been especially pleased with how the Hana handles vocals. Piano, string, and vocal tone are the de rigeur tests in audio playback, but vocals are usually my make or break. If something fails to move me, I know it right away listening to my favourite singers. With the Hana, Otis Redding’s The Dock Of The Bay (mono reissue by Rhino) roars across a half century with tremendous clarity – not just free from sonic distortion, but clarity – and depth – in the emotions that the artist conveys when he sings. Bruce Springsteen’s Nebraska has never sounded so good, to me. His 1980 headspace is laid bare in this album, one of his most intimate and raw. Bruce Cockburn’s 1970’s classics are in the room. Bob Dylan and Leonard Cohen are in the room. But no, I mean really – not just their voices, but their thoughts and feelings are “in the room”. This is not about ‘sonics’! Yeah sure, you still need clean, decent pressings to get the very best from analog, blah blah. But the Hana makes you stop worrying about that. It doesn’t even want you to get lost in your record collection; it wants you to get lost in the music. Phillip’s comments are borne out by the Hi-Fi World review, which compares the EH and EL models. Both have measured output that’s considerably healthier than spec (the EH does retain 4x higher output than its low output sister), and their measurements also confirm how close the two are in frequency response and channel balance. The low output version does track measurably better, according to HFW. A few miscellaneous comments. The Hana EH tracks very well for me, at ~1.9-2.0 grams VTF (2g is the recommended). It doesn’t accentuate surface noise (it certainly doesn’t have a sizzling top end). In fact, its stylus even seems to pick up less schmutz than others I’ve used. Or maybe it just “lets go” of the dust better, when the arm is lifted. Whatever the reason, it seems to need less cleaning attention. The cantilever is nicely visible, without any needless protruding. Very much like a DL103. All told, it acts and feels like a unit that’s built to last, and goes about its business efficiently. It comes in a nice box – not especially fancy, but nice. Complaints? I have a couple of minor ergonomic quibbles. The stylus guard is fiddly: it’s not the worst I’ve seen, but it needs to be handled with care. Remember the old days when the guard was integrated (mounted) on the body? Or even flourished with a little dust brush, like Shure and Stanton used to do with their better models. Man, those things were dummy proof! I’d give up the 1-2% in rigidity to have that kind of simple protection. My other gripe is that the the mounting holes aren’t threaded (tapped) for your bolts – you need bolts of the right length, with nuts to secure them. This isn’t a big deal for many folks, but for those of us who need to swap carts often, it’s annoying. Combined with the design of the guard, it also makes mounting that much more precarious- unless you have a removeable headshell. Look at the photo just above and you’ll see what I mean. For those with clumsiness or anxiety issues, just ask a dealer or a friend to do it. If you’re comfortable in general with the task, then you can tell from the photos that this is not a particularly scary unit to handle. Apart from that, ease of use couldn’t be better. Again, words only serve to fill a page and entice the imagination. Hana’s cartridges need to be experienced. On a limb, I’d say it’s almost like they’ve changed the game by making a product that’s so musical, you want to forget about all the audiophile aspects. The beauty is that these cartridges are priced so well, it really doesn’t entail much risk to try one. While I obviously can’t promise it will satisfy everyone, I think 95% of analog enthusiasts will like it – and a good chunk of them will love it, like I do. And I’d wager even if 5 in 100 didn’t take to the Hana (for whatever reason), they’d still say it’s a good value. For me, the Hana EH not only redefines the budget MC cartridge: it practically redefines music for the open minded audiophile. Gold Star indeed, and my most enthusiastic recommendation. Curious if you’ve had any experience with the Denon DL160 HO that they for some reason decided to discontinue? I always thought it was head and shoulders better than the DL 110. Not personally. I know Denon’s phono exports really took a hit after the earthquake & tsunami a few years ago. I wasn’t overly impressed with the DL110 either, even when it was cheap. 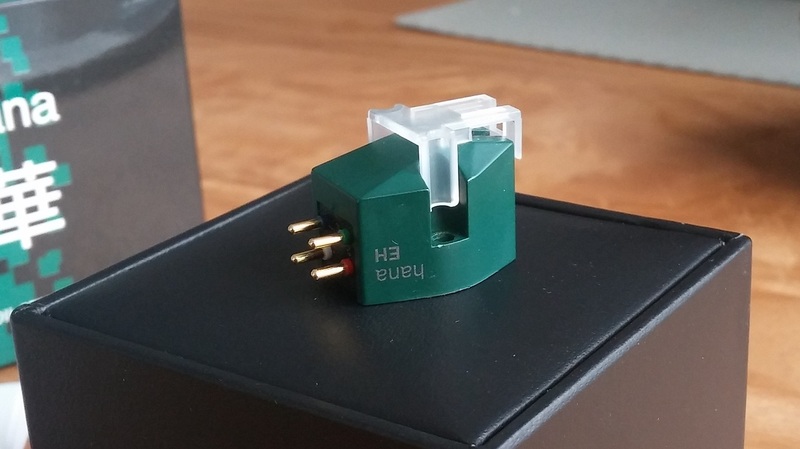 In that price range I liked Nagaoka, Shure, AT and Ortofon carts better. Sumiko has some interesting lower end models too, I haven’t had a chance to sample them. I am not personally familiar with the Music Maker, sorry. In your experience would the Hana EH elliptical be a substantial upgrade to a Clearaudio Aurum Classics? Hana is a true MC and a unique design, I think you’ll find it’s in a different league sonically. At 60dB there should be plenty of gain already for the EL. Getting a better tonal balance could just be a matter of finding the right loading resistors. 200-300 Ohms would be about right. You might also check your setup, if you have lack of bass it can mean you’re tracking without enough downforce. VTA might be off also causing that. If you do go with a SUT, I’ve had good luck with Altec, Lundahl, and Cinemag. But you may end up with too much gain. Yes, I think it is comparable with the Glider. Very musical with a lucid and vivid midrange as its core strength. Nice review, however, on a technical accuracy note, having one’s counterweight positioned close to the bearing doesn’t necessarily provide any rigidity advantage, only a potential improvement WRT moment of inertia. IOW, with statically balanced tonearms, in particular, there should be less upset with record warps, ripples , etc. Yes, it comes with hardware. Do you have a recommendation on an appropriate headshell (compatible with a technics 1200) to be used with the EH? Still going strong? I am leaning toward the EH instead of the EL for practical convenience so I can always switch out back to an MM if I want to play dirtier records. My phono preamp (Bugle 2) would otherwise require some manual surgery to function well just with an EL. Yes, still loving the Hana. It’s quite a light cartridge, so I think you could go with a slightly heavier headshell than the stock one. Yamamoto make some nice ones. On a smaller budget, I like the Jelco/Sumiko. Thanks for the very detailed and informative review. I’ve ordered a Hana-EL for my system. Looking forward to it. Would you recommend Hana for a Rega Planar 6? I was tipped from a knowledgeable source that it migh be a bit ‘thin’ in a Rega and that I should check a Goldring 2300 MM for a little more weight. Unfortunately, I cannot test the Hanas before buying them.. Yes, I would definitely recommend using a Hana on your RP6. No hesitation. I briefly owned a Goldring 2100 about six years back (it came with a TT I bought), but I don’t feel like I’ve had enough experience with them to comment. Anyway, when I had a RP3 last year, the Hana performed brilliantly with it. No issues. HANA Pickuper - Forhåndsbestill nå!